Perfect choice of book review for Halloween, right? 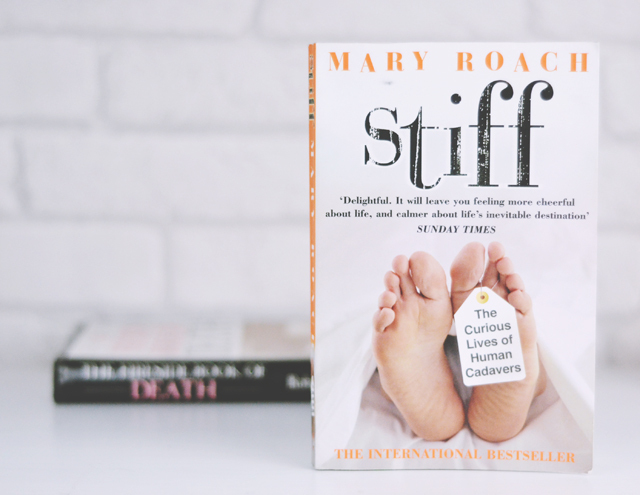 When I first found out about Mary Roach's Stiff, I bought it immediately and dived in the second it arrived. Remember 2008's Stephen Fry in America where he visited the body farm? That was the highlight of the series for me and I was thrilled to find out that this book had more information on the University of Tennessee Anthropological Research Facility, to give it its full name, as well as a whole host of other ways cadavers are used after being donated to science. Since watching the recent Channel 5 documentary Body Donors, it's something I've been considering and figured this book would give me an insight into what may happen to my body after death if I decide to do so. As the name suggests, Stiff is an exploration of what happens to bodies that are donated to science. Each chapter examines one particular use, from traditional dissection by medical students and guinea pigs for surgeons to car crash dummies and firearms safety tests. Roach has researched each area methodically, speaking to experts in the field and observing them at work, to deliver an accurate report on the procedures that cadavers experience. Although she does not have a medical background herself (her reasons for choosing this topic are never fully explained), this hands-on approach allows for an honest, trustworthy text. The first chapter was incredible. It was absolutely fascinating- Poor Rich had to put up with me interrupting his own reading every 2 minutes with "Did you know?"s. Roach's writing style was punchy and funny, without being crude or disrespectful. I was over the moon. But then it all started to slide downhill. Rather sensibly, the most interesting, engaging chapters are at the beginning of the book. About halfway through, they start to take a dull turn and there is a whole chapter on developments in military operations that barely touched on the use of cadavers. It almost felt like the publishers needed more content to pad out the book so she started conjuring up quite tedious uses for human bodies. Along with this, the humour began to grate. 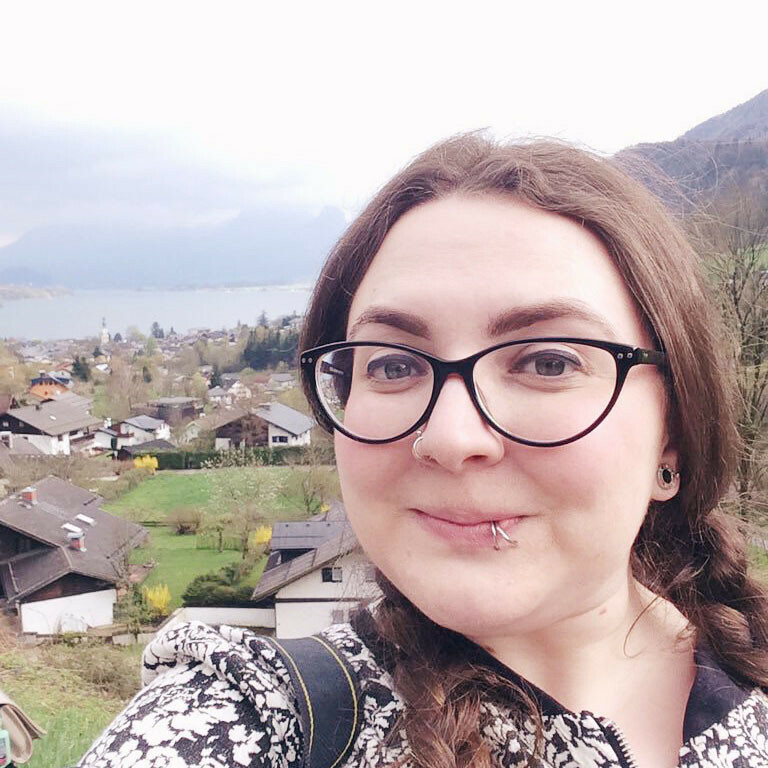 There were parts where it felt like jokes being added purely because there hadn't been one for a while, and when humour is slotted in for the sake of it, it begins to feel disrespectful as well as reading forced. It's a real shame as the book started with such promise. If they'd just kept it as a short 150-page, 7-chapter discussion of the main ways human cadavers are used in the modern western world, rather than trying to include a bunch of historic and cultural variations too, it would have been a much stronger text. Unfortunately, my rating slowly sank as I continued reading. The slow pace at the end of the book knocks it down to six out of ten but I would recommend reading it, as long as you skip the final 7 chapters or so. If the cultural practises of death interest you, I fully recommend The Fireside Book of Death. It's slightly different to Stiff, in that it looks more at the attitudes of life after death, but is much more engaging with a natural humour. I read this a few years ago and found it fascinating! I love true crime / slightly morbid reading.